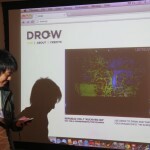 DROW = drawing + throwing. 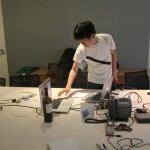 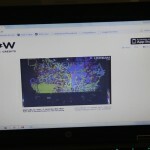 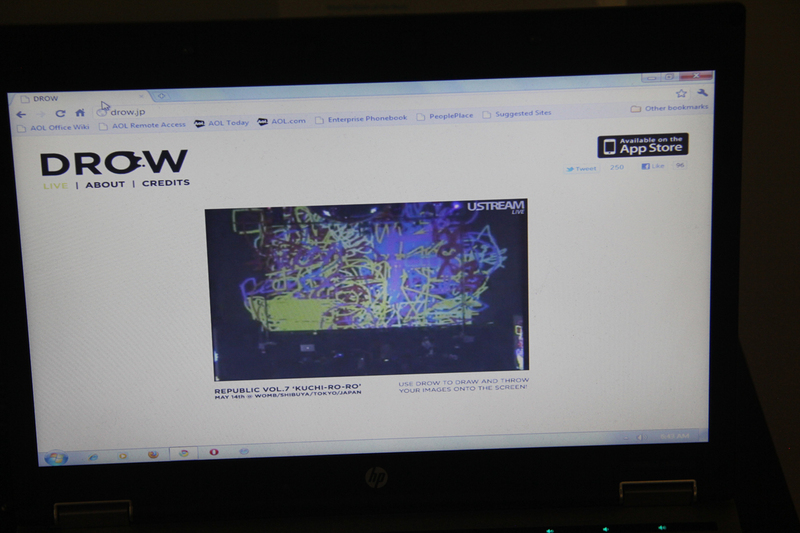 It’s vj software and an iphone application. 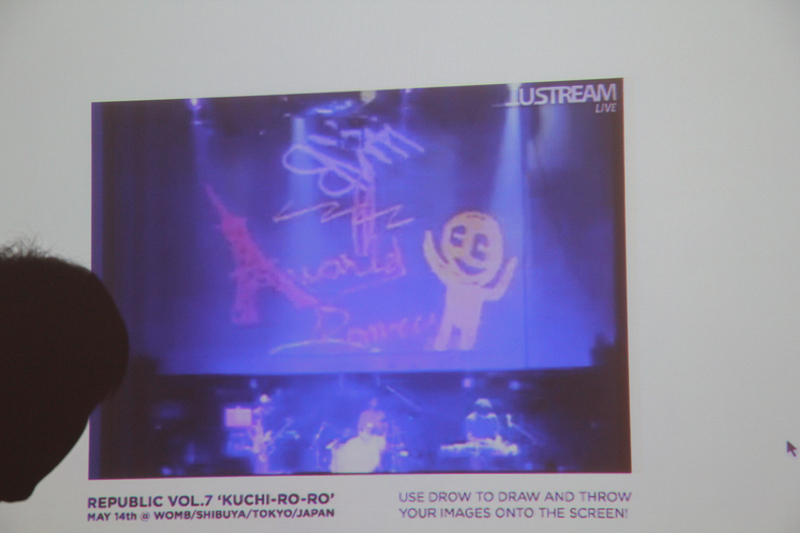 You can download it for free from the App Store, draw any image, and throw it from anywhere in the world, and it will appear live in concert. 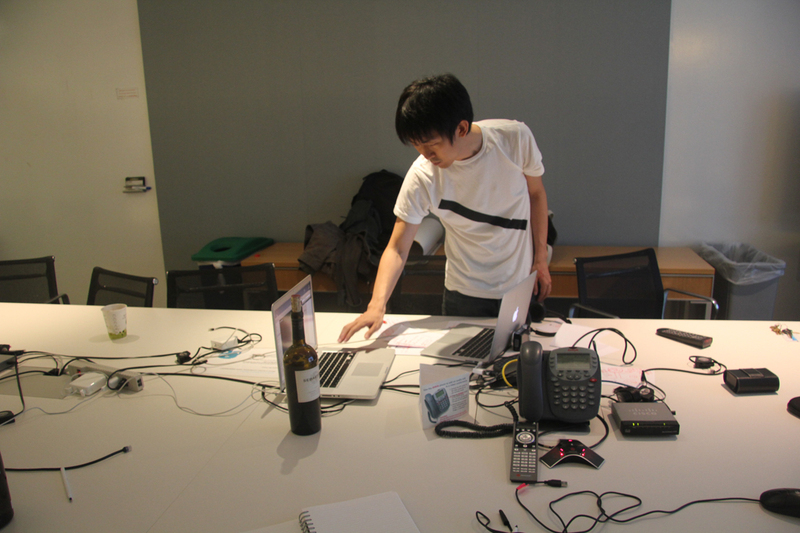 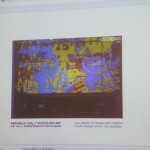 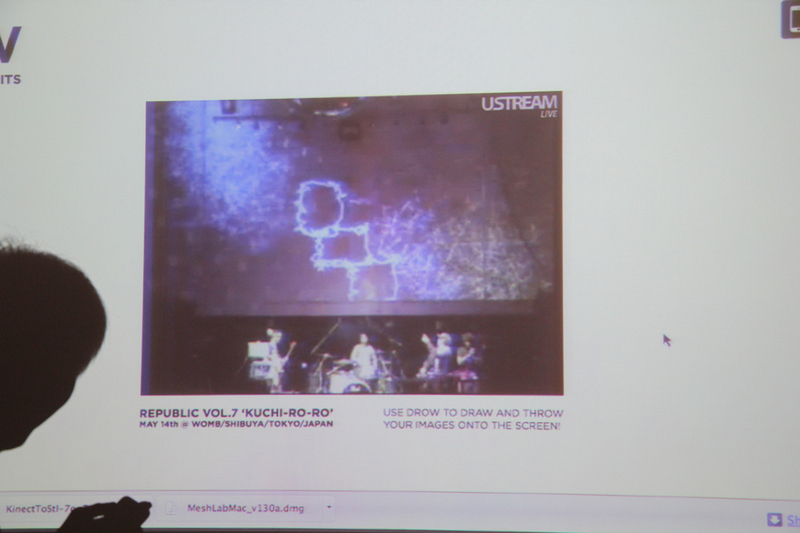 It’s a collaboration between myself, Masa Kawamura and IMG SRC. 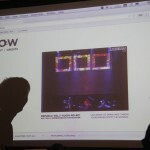 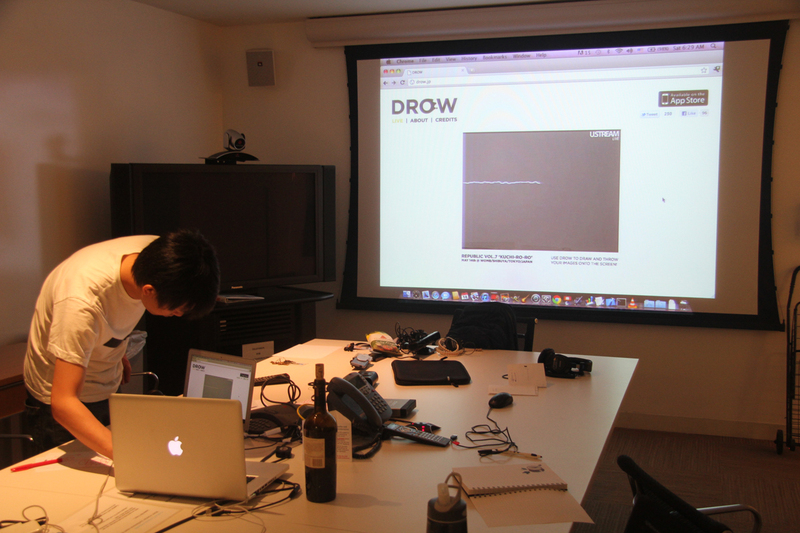 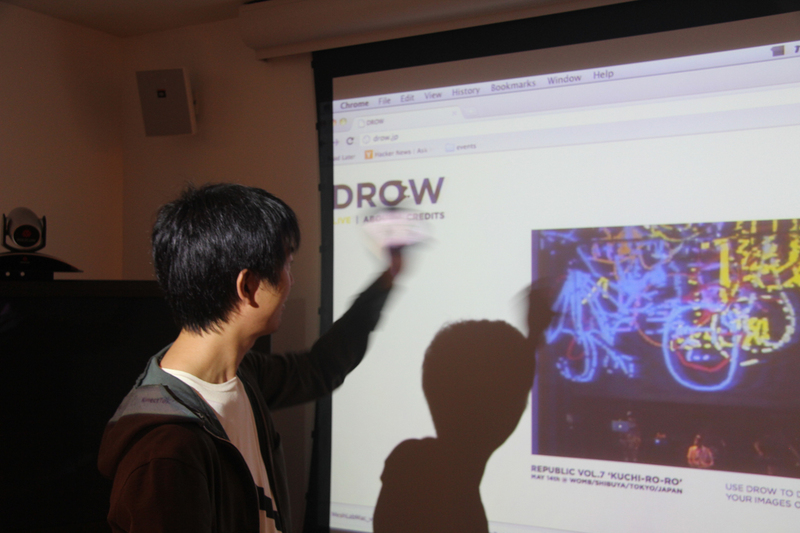 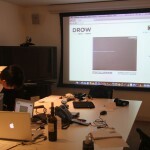 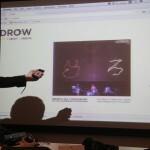 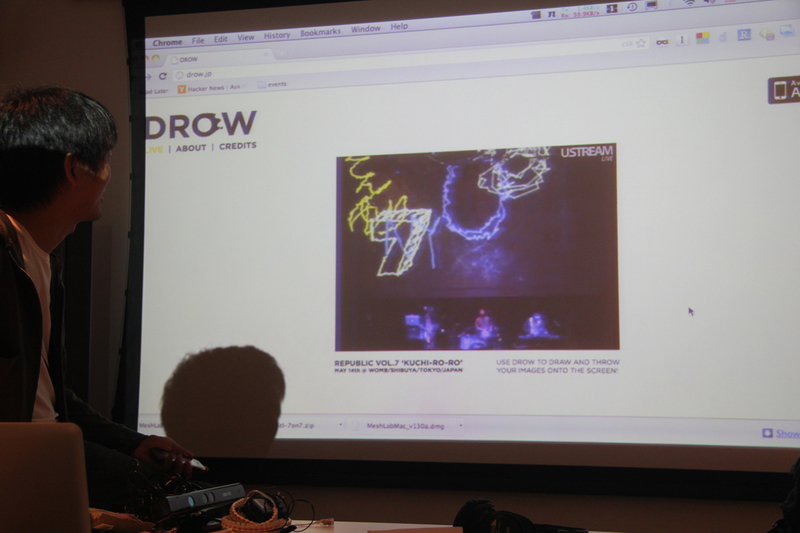 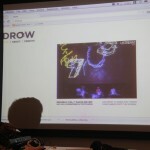 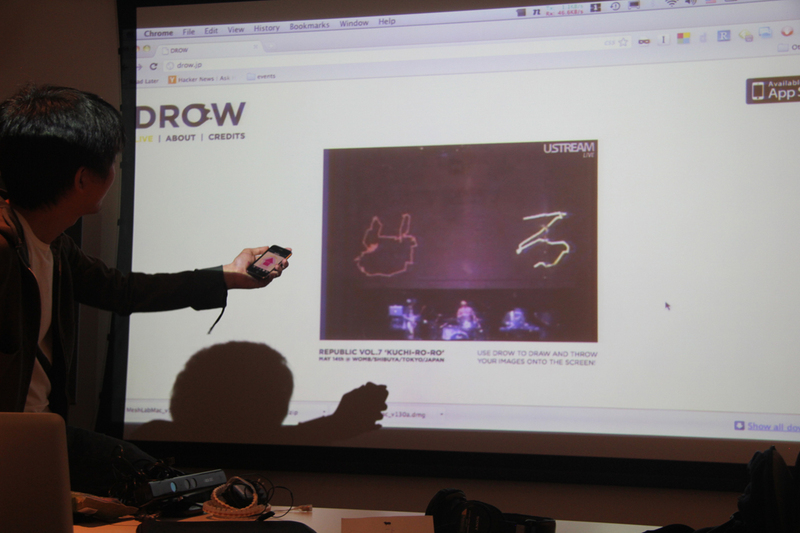 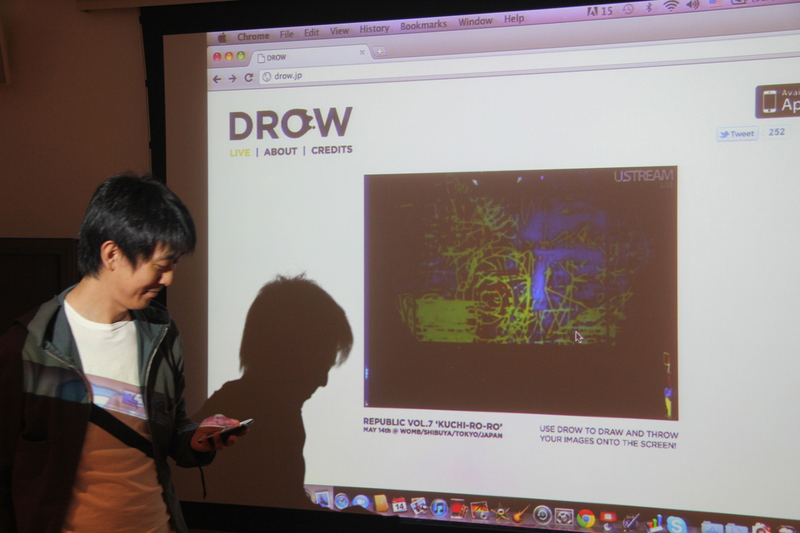 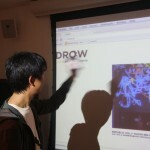 Our first use of DROW took place with Republic and KuchiRoRo. 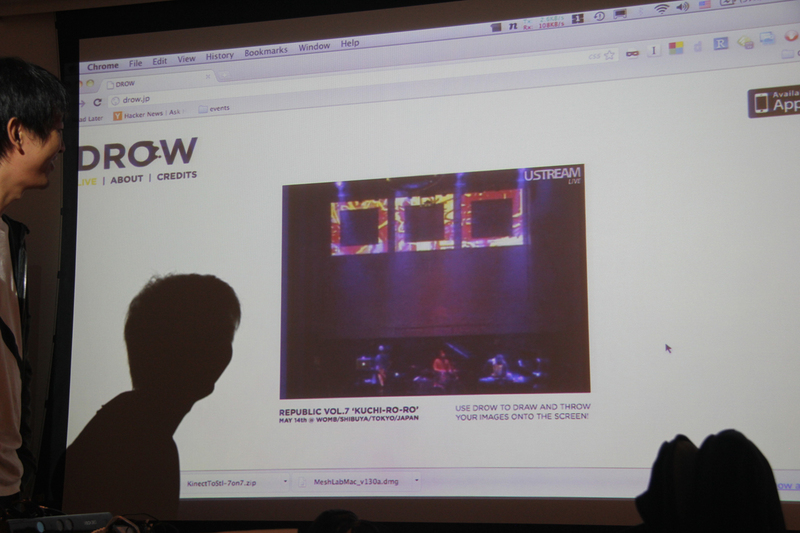 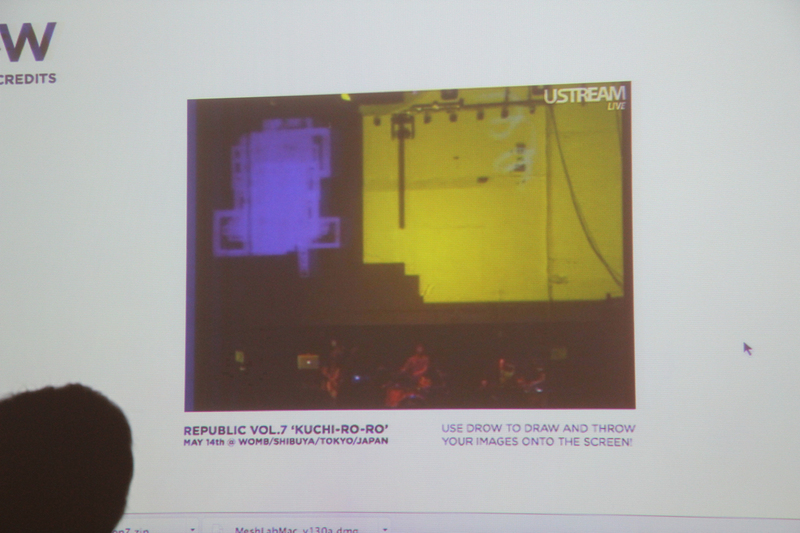 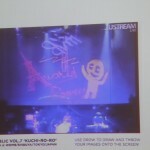 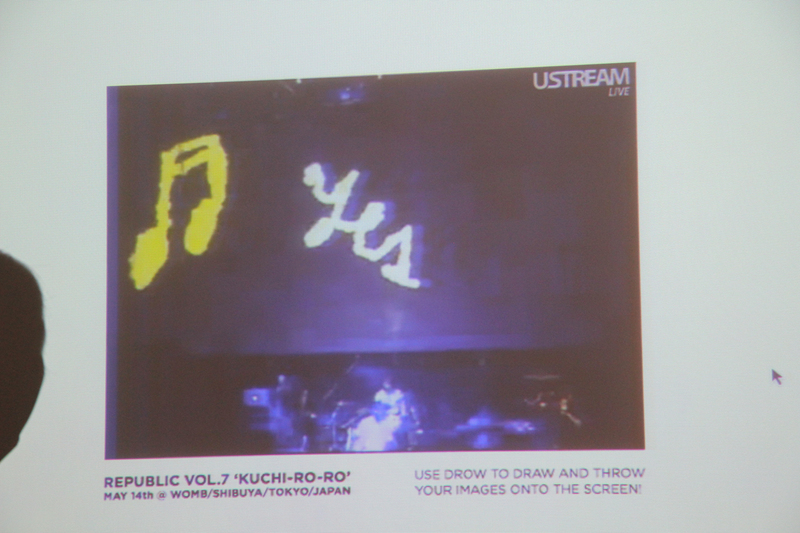 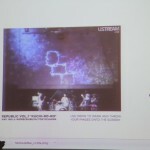 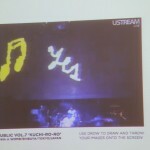 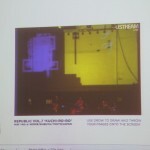 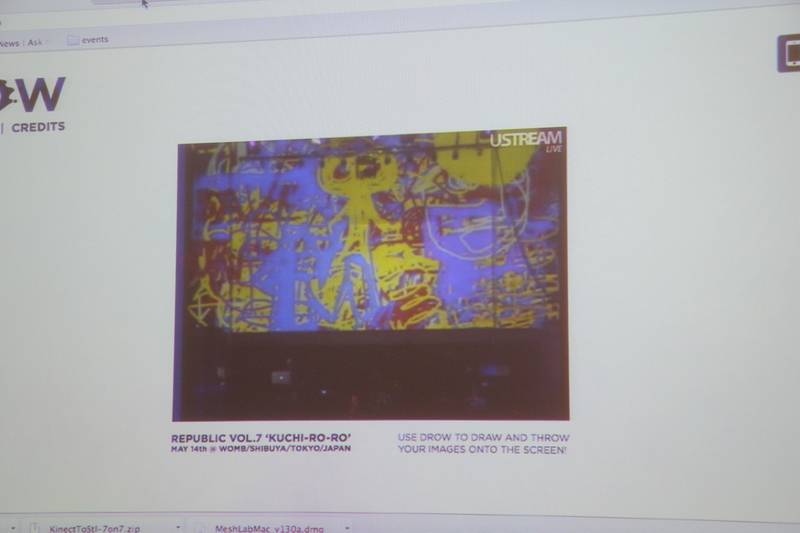 Masa and I watched the performance live on ustream from new york.